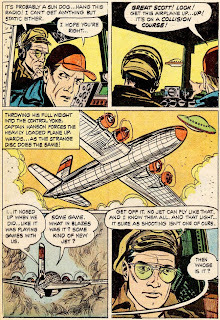 June 24 is the anniversary of the day that pilot Kenneth Arnold reported seeing a fleet of crescent-shaped craft flying over the Cascade mountains of Washington State. 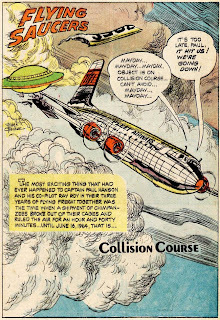 Sixty-two years ago that incident started the flying saucer flap that consumed a nation's attention. 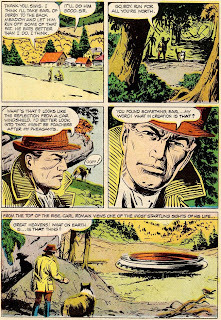 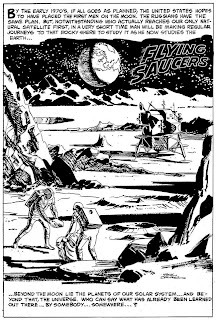 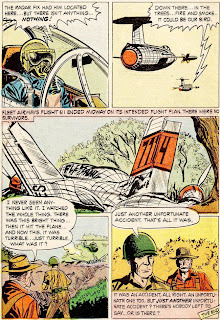 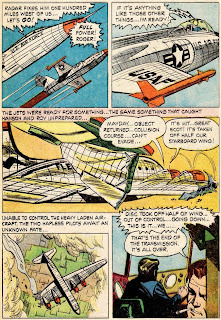 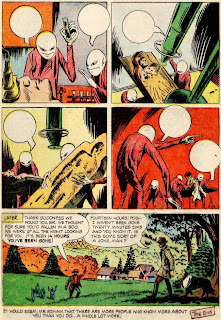 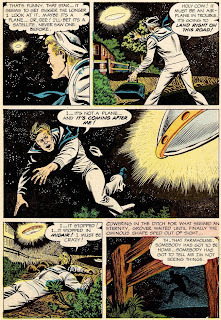 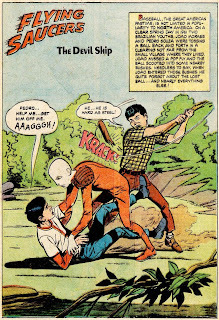 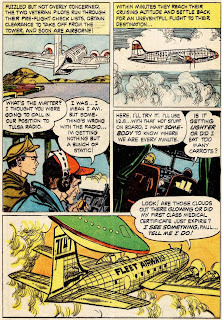 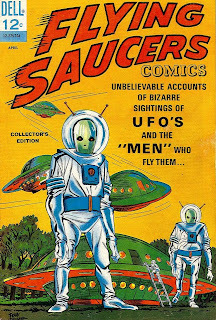 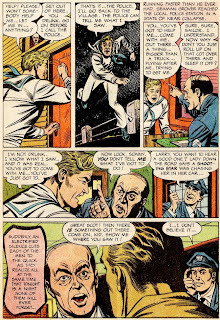 In 1967, amidst another UFO flap, Dell Comics began publication of their FLYING SAUCERS COMICS. 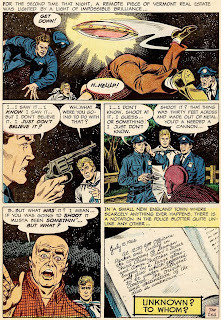 This is #1, with art by Chic Stone, Sam Glanzman, Frank Springer, Sal Trapani. 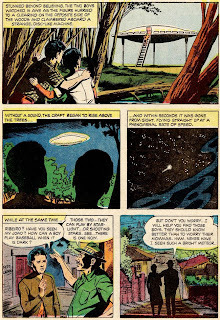 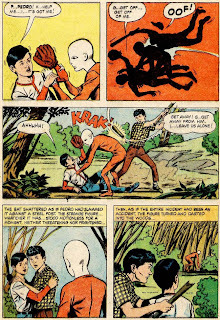 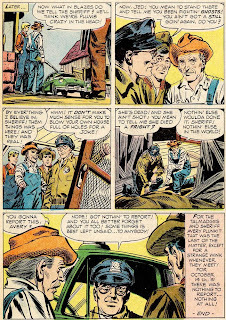 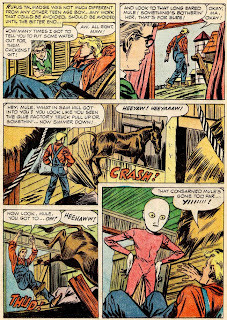 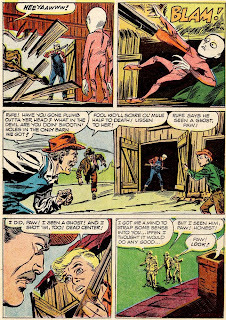 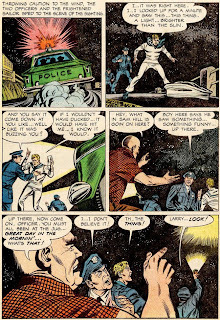 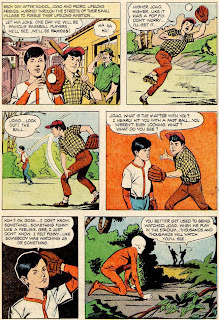 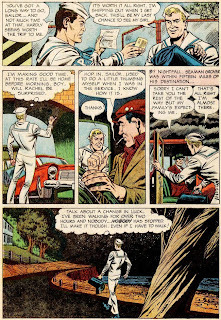 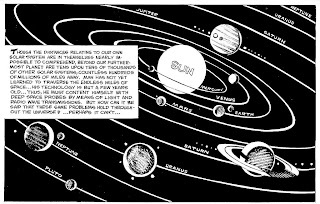 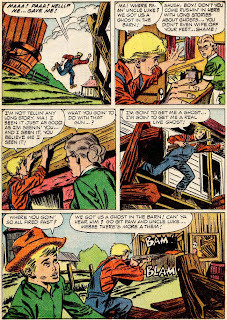 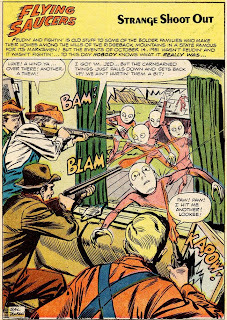 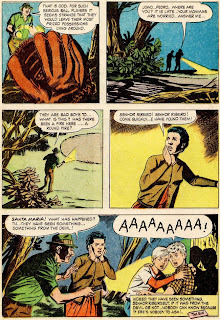 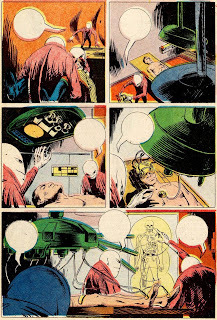 The stories contain some contactee stories, including the Glanzman-drawn story of an alien medical exam, then currently in the news with the controversial story of Betty and Barney Hill from the 1966 bestseller by John G. Fuller, THE INTERRUPTED JOURNEY. 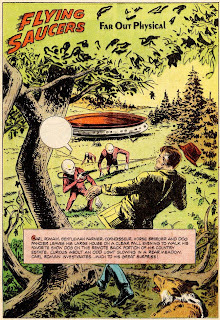 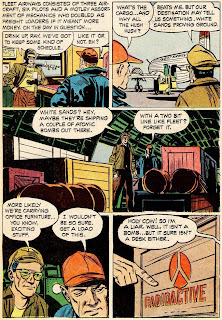 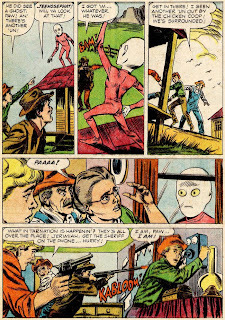 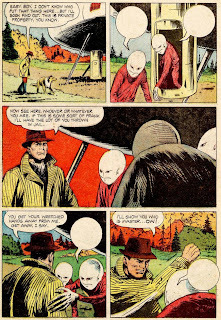 For an interesting article by John (THE MOTHMAN PROPHECIES) Keel, with his take on the flying saucer mythos, read "The Man Who Invented Flying Saucers". 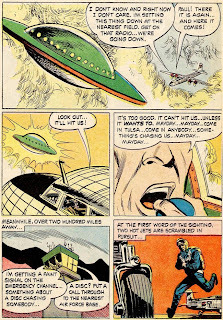 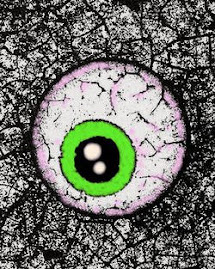 Also, check out the 2008 Hairy Green Eyeball FLYING SAUCER WEEK! 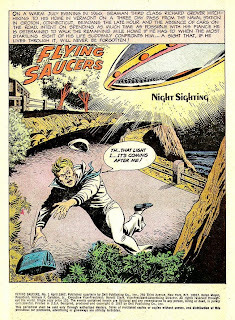 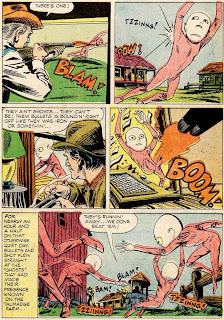 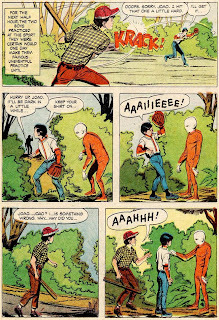 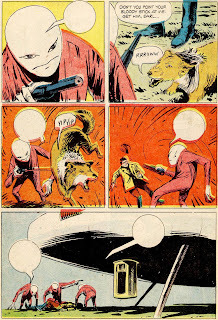 FLYING SAUCERS #1, April 1967. 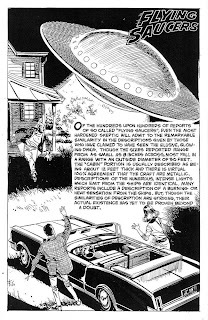 Copyright © 1967 Dell Publishing Company, Inc.